Is it day 12? I've lost count. But I have made my first goal, to finish this 100g. 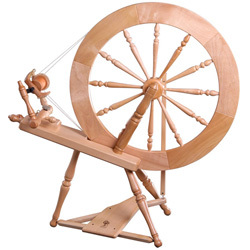 I'd already started it before the Tour started but with daily spinning it seemed like a good opportunity to finish it. 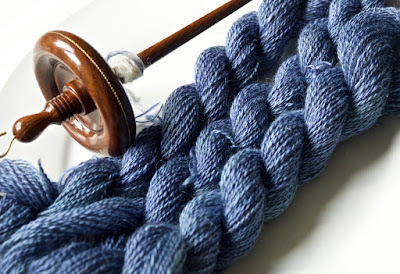 I spun with team Drop Spindle Addicts and spun & plied the yarn using that spindle. I make this 290 yds and (by eye) it's somewhere between lace and sock. 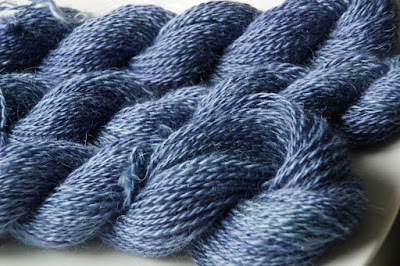 The fibre is silk / mohair / wool from picperfic's fibre club, colour 'Monet's Pond'. A perfect mix for socks, I'm thinking and I have a pattern in mind.